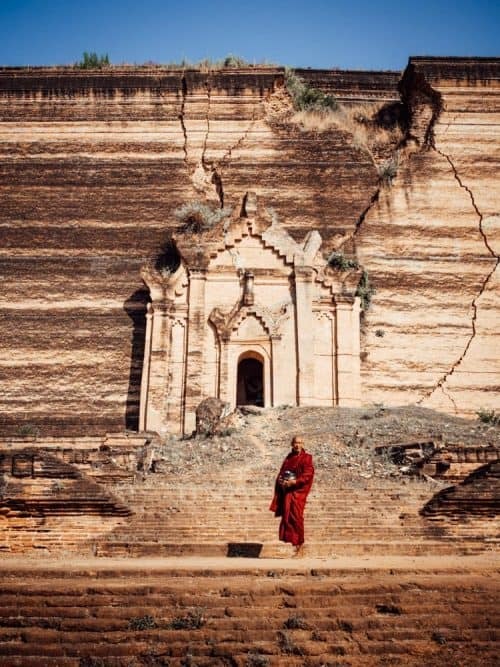 Myanmar is one of South East Asia’s most underrated countries that is still very much untouched, being a good reason to visit this incredible country as soon as you can. I recommend spending at least 2 weeks in Myanmar to discover everything from rich culture and delicious cuisine to ancient temples and unique landscapes! 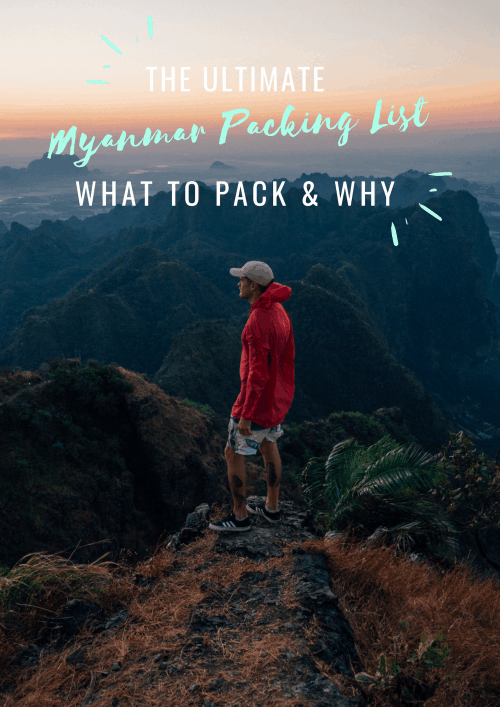 Having backpacked all over Myanmar myself, I have a pretty fair idea of what to pack for Myanmar and why! Myanmar has a wide range of accommodation options from luxury resorts to budget hostels and everything in between. I use booking.com to search and book all of my accommodations. Click Here to find a place that best suits you during your visit to Myanmar. There are 2 things you want to avoid when planning your Myanmar travel itinerary – intense heat and intense rain. 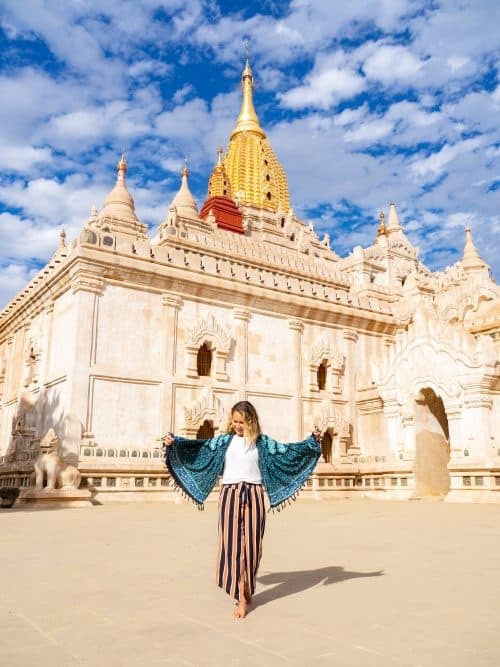 Furthermore, the best time to visit Myanmar is in the winter season from October to February, when daytime temperatures are moderate and night time temperatures are cool. 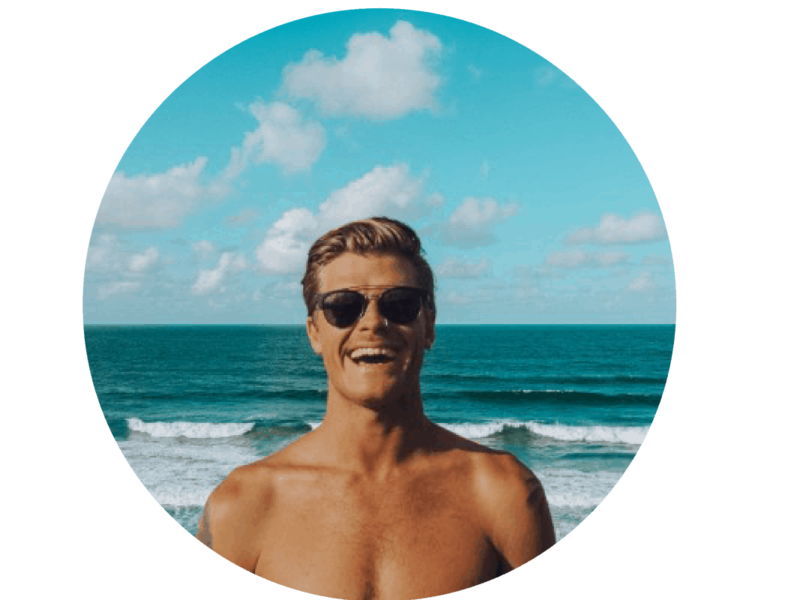 Definitely try to avoid the summer months between March – May when temperatures can soar to over 40 degrees celsius and the rainy season which is June through to September. 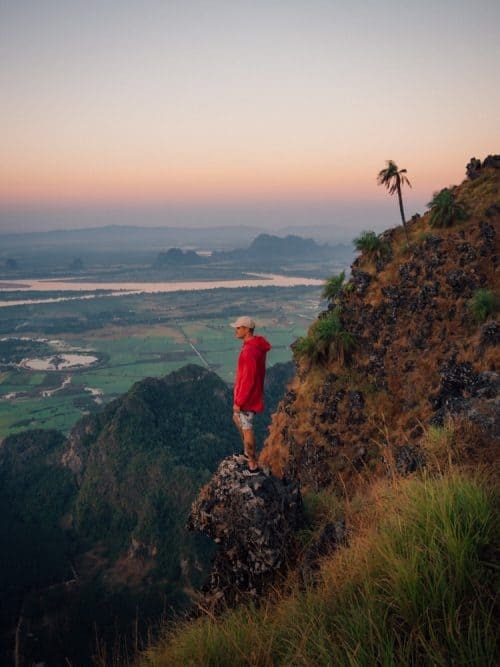 Most likely you are going to get up to a lot of outdoor adventures when you’re backpacking Myanmar, whether it be hiking mountain peaks, exploring waterfalls or beach hopping! A waterproof phone case is a must-have item to keep your phone safe from water damage, sand and scratches. A reusable water bottle is a must when packing for Myanmar and it’s something I take with me on all of my adventures. Not only will the Hydro Flask keep your water icy cold all day but you will also be helping the environment by reducing the use of plastics in Myanmar. If you are searching for the best day bag to take with you when backpacking Myanmar, then look no further. The Nomatic 20L day bag is one of the best backpacks on the market and perfect for those everyday adventures! This particular Nomatic bag is water resistant, anti-theft, light-weight and incredibly durable. A light-weight rain jacket is an absolute must when deciding on what to pack for Myanmar. The weather in Myanmar can be very sporadic due to the tropical climate and a downpour can happen at any moment. The best rain jackets I have come across for men and women are the North Face waterproof rain jackets with a breathable mesh lining and adjustable hood that can be tucked away inside the collar. Be prepared and add this essential item to your Myanmar packing list. Arriving in Myanmar and not being able to charge your phone, laptop, camera and other accessories is a nightmare for most travellers. I highly recommend equipping yourself with a universal power adapter that can be used everywhere in Asia and also in UK, Europe, Africa, United States and Australia. The Nomatic compression clothing bag is honestly my favourite item in my backpack! The unique folding seal and air valve are designed to get air out of the bag in the suction process. Perfect for condensing shirts, pants, jackets, socks, underwear and more! 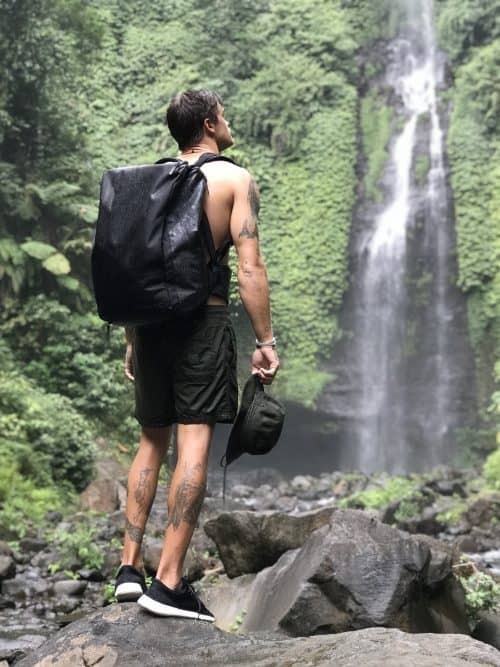 The Nomatic compression bag makes packing easier and more efficient, adding extra space and reducing packing frustration when deciding on things to pack for Myanmar. One of the best things about having a portable power bank is that you can keep your phone and accessories charged on those longer adventures throughout Myanmar. I have recently just discovered this awesome solar power bank that can be recharged under direct sunlight and it has 3 USB charging ports. Some other great features on this particular power bank are Qi wireless charging, flashlight settings, water-resistant and shockproof. One of the most popular cameras on the planet. I love using the GoPro Hero 7 for everything involving water shots and those fast-paced adventures in Myanmar. 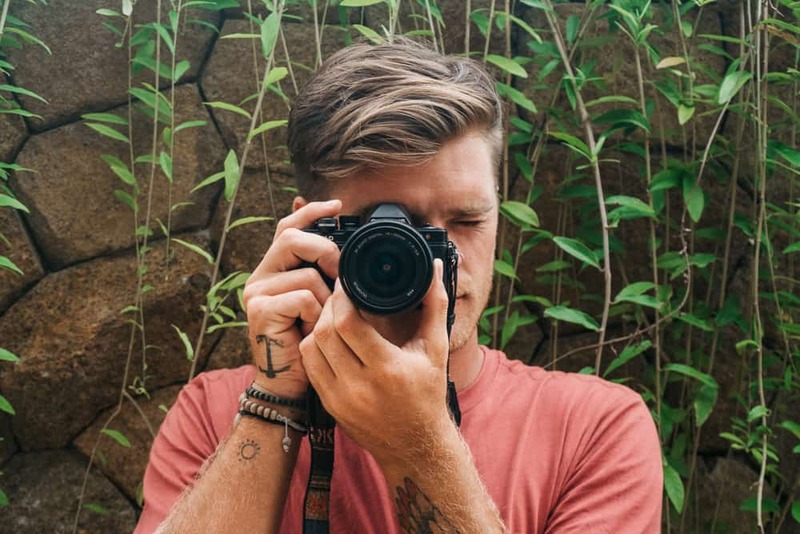 It captures all of my best moments with its wide range of functions that are very simple to use and I highly recommend this camera when backpacking Myanmar. Everyone loves a good selfie, right? 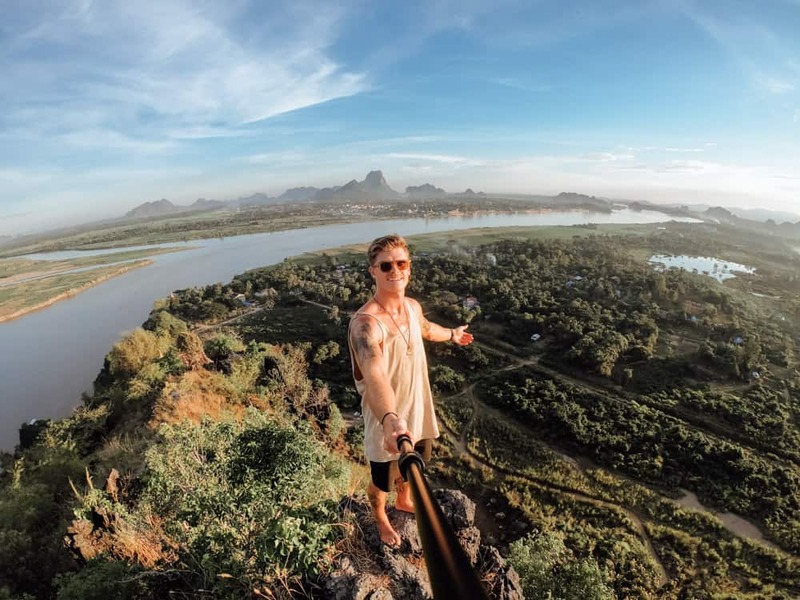 This slick and stylish selfie stick can extend to 1.2m and I find it much easier to shoot photos and videos with the GoPro Hero 7 when it is mounted to the SandMarc Selfie Stick. This is definitely something you will not regret adding to your Myanmar checklist. 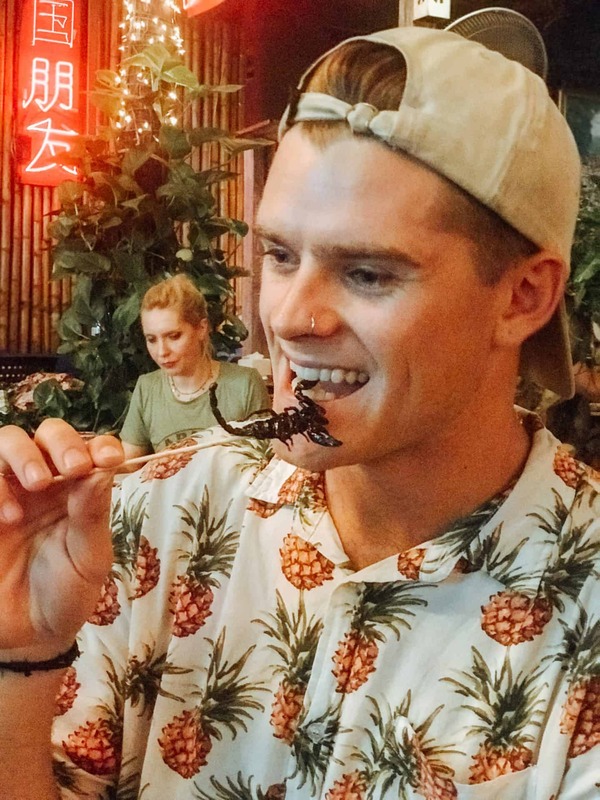 The last thing you want when visiting Myanmar is a body covered in itchy mosquito bites or worst-case scenario, dengue fever. As I mentioned earlier, Myanmar has a very tropical climate and mosquitoes along with other nasty insects like to hang out almost everywhere where there is water. Be sure to get a bottle of insect repellent to throw in your check-in baggage when packing your Myanmar essentials. Yes, sunscreen! Some of us hate it, others can’t live without it. Nevertheless, it won’t hurt to throw in a tube of sunscreen when packing for Myanmar and I guarantee you will end up using it every single day when you are out exploring! In my experience, sunscreen is quite expensive in Myanmar so it’s best to pack some before you go. I know for sure that you are likely to visit at least one waterfall or find an epic cliff jumping spot during your travels in Myanmar. 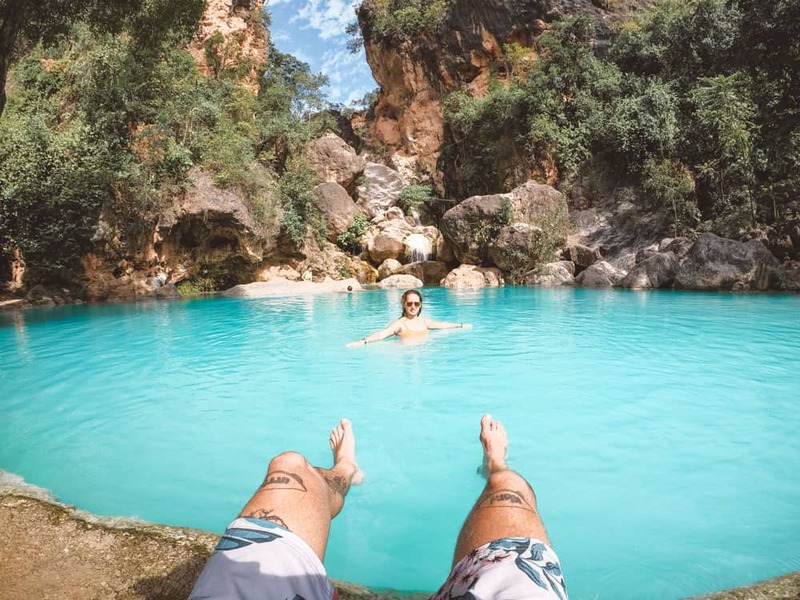 This beautiful country is a mecca for water adventures and muddy hikes so definitely consider purchasing an affordable pair of slip-on waterproof shoes when deciding on what to pack for Myanmar. To pack a towel or not to pack a towel? It’s a question I ask myself too often when deciding on what to pack for Myanmar. A standard beach or bathroom towel can take up quite a lot of space in your travel bag, though a quick-dry travel towel is a perfect alternative! This light-weight, microfibre travel towel is perfect for the beach, camping, backpacking and general travelling. I used to cringe at the thought of wearing a money belt as they are far from fashionable. In saying that, the best thing about money belts is that they are always out of sight and hidden beneath your clothing to prevent pickpocketers. They are perfectly designed to keep your cash and other valuables safe for when you are out and about enjoying the nightlife in Myanmar. Along with the money belt, a travel passport wallet is a great addition for your Myanmar checklist. I find it best to always keep my passport, valuables, travel documents, credit cards and cash all in one place, stowed away in this easily organised travel wallet. 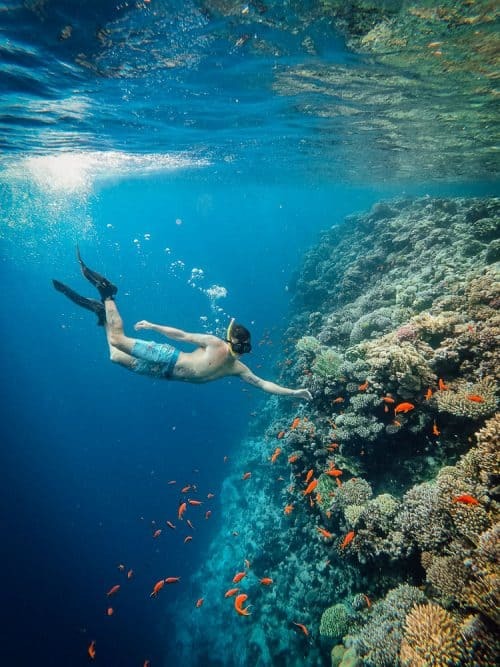 A dry bag is always a good item to consider when deciding on your Myanmar travel essentials, especially if you are planning on going snorkelling, spending some time at the beach, exploring waterfalls or island hopping. Best to keep your phone and other valuables safe from water damage. Something that I have surprisingly been using quite often is a head torch. It may not be an essential Myanmar packing list item for everyone but if you do plan on hiking to some viewpoints for sunrise, which I highly recommend, then this waterproof and USB rechargeable head torch will quickly become your best friend.